Truly Stunning! 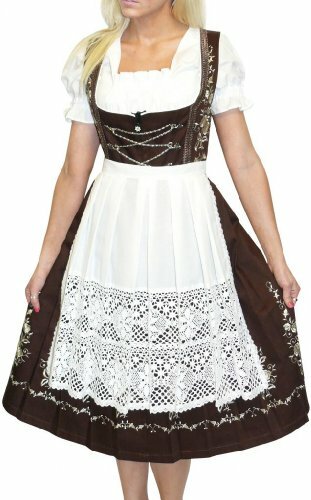 This Gorgeous Long Brown Dirndl Has Gold And Silver Embroidery Throughout The Bust Area And Around The Base. The best way to measure for a good fit is to measure around the fullest area of your bust with just your bra on and measure around the smallest part of your waist area. Then take those two measurements and compare to the size chart to find your size. Measurement: Bust: 39" Waist: 32" Total Length: 44 1/2" Length From Waist Down: 27".